Passes for senior citizens and persons with disabilities are now available through mail. National Park Services is giving senior citizens and Americans with disabilities the option of purchasing a lifetime pass through mail, making it more convenient for many to visit the parks. The Senior Pass and Access Pass will also be available at national parks. In addition to admission, pass users enjoy a 50% discount on some amenity fees for activities like camping and launching a boat. The passes are available for U.S. citizens age 62 or older, or people with permanent disabilities regardless of age. Read more about the Senior Pass here and the Access Pass here. 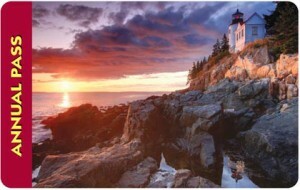 Read about Esha Samajpati’s visit to Acadia National Park on GoNOMAD.